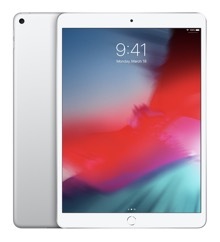 Everything you wanted to know about the 2018 9.7-inch iPad aimed at students and education institutions. 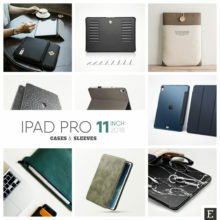 In the post below, you’ll see the essentials about the new iPad 9.7 – technical specifications, launch details, and comparisons, among others. 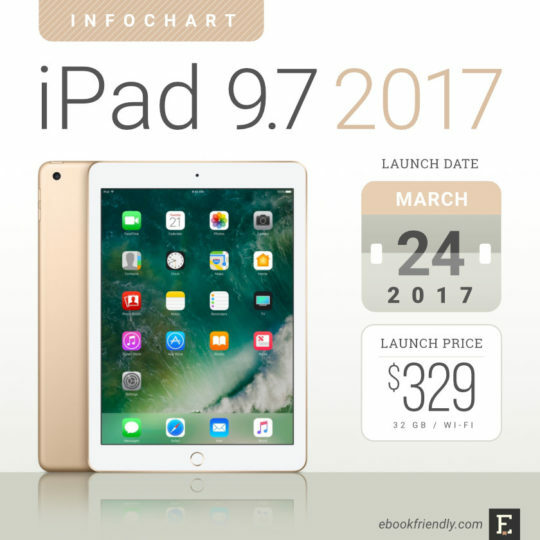 On March 24, 2017, Apple announced in a press release the launch of the new model, called simply “iPad” and featuring the 9.7-inch Retina display. 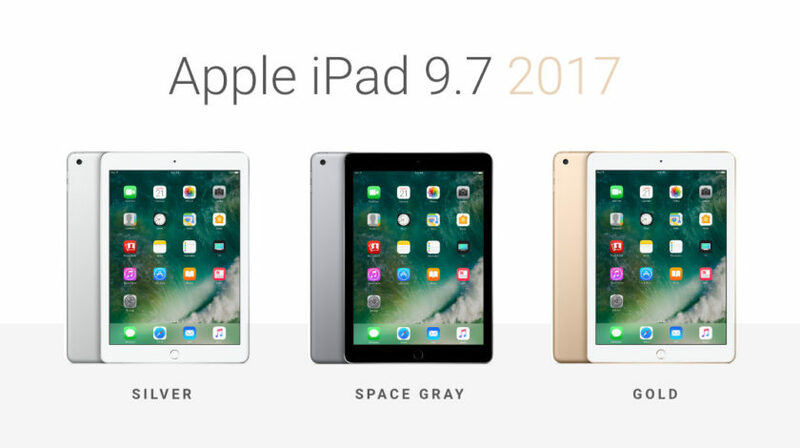 The new iPad 9.7 (2017) is a successor (or rather a replacement) of the iPad Air 2. 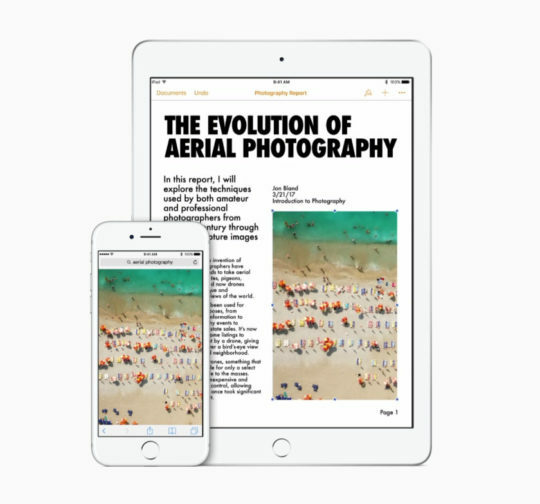 It’s the medium-shelf model with the 2048 × 1536 px Retina display and Apple A9 chip. The most exciting thing about the new model is it’s surprisingly low price. 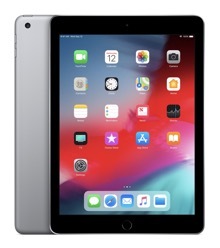 The entry-level 32 GB + WiFi version costs only $329, which is $70 below the starting price of iPad Air 2, and twice as cheap as iPad Pro 10.5, released in June. 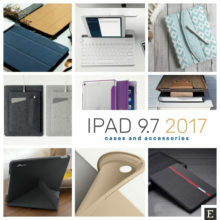 The best cases, sleeves, and accessories we've found for the 9.7-inch Apple iPad, released in 2017. 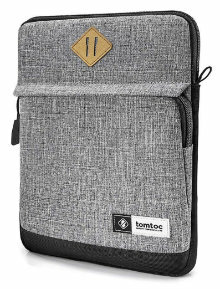 Trendy case designs from Fintie, MoKo, rooCASE, Poetic, and DSR. 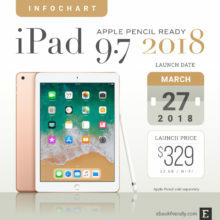 The new iPad 9.7 (2017) launched without the usual spring event. 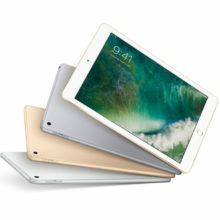 The company simply released the iPad 9.7 press announcement and the same day the new model appeared on Apple website. The sales on Apple.com website started on March 24, 2017. 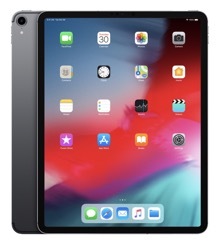 A few days later the model arrives in Apple Stores and authorized resellers in the US and 20 other countries, including Australia, Canada, China, France, Germany, Hong Kong, Italy, Japan, Mexico, Netherlands, Spain, Sweden, Switzerland, and the UK. The launch in a few more countries is set for April 2017. 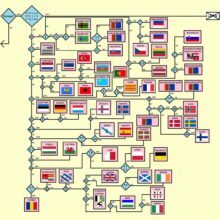 On the list, you’ll find, among others, Denmark, India, Mexico, Norway, Russia, or Turkey. 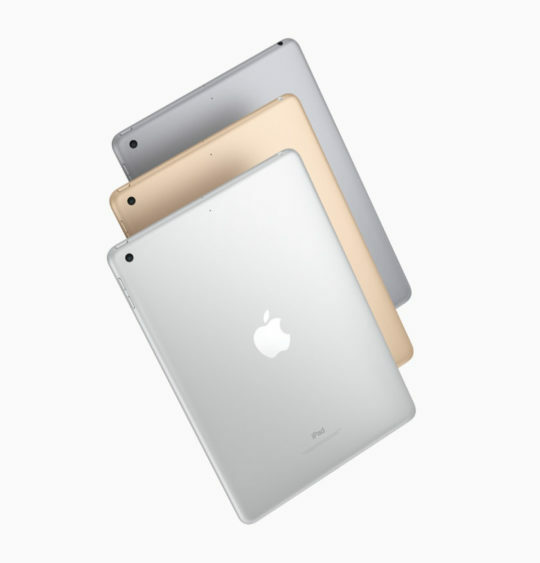 There are three color options to choose from: Silver, Gold, and Space Gray. First two versions have the white front bezel, the third one comes with the black panel. 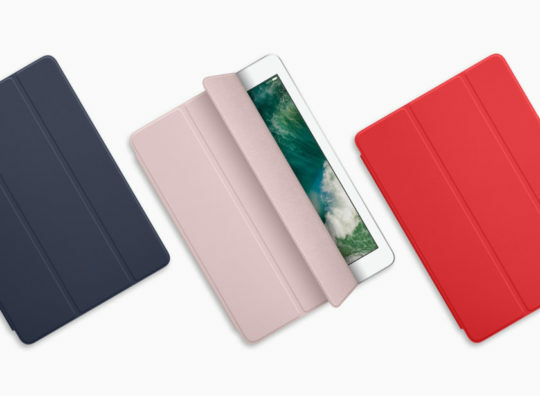 When it comes to features and prices, the new iPad in the middle of the landscape. 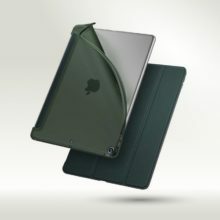 Its Retina display is much better than entry-level tablets from Samsung or Amazon. 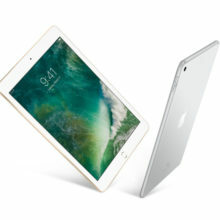 On the other hand, the new 9.7-inch iPad is slower and lacks advanced features of the top-shelf models, such as Samsung Galaxy Tab S3 9.7 (2017) or the new iPad Pro 10.5. If you want to stay in the Apple ecosystem, you’ll most probably compare iPad 9.7 2017 to iPad Pro 10.5 2017. 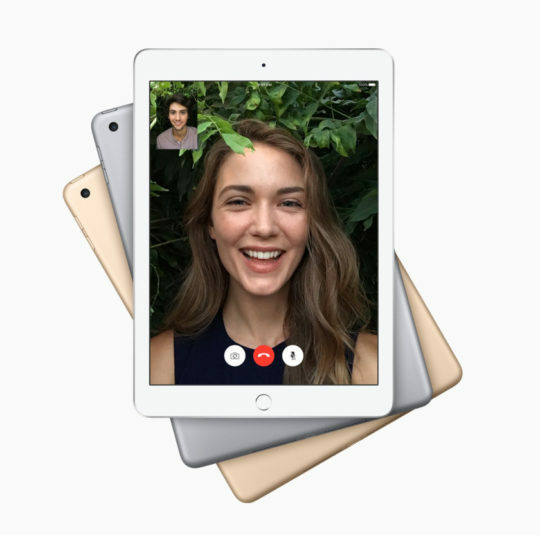 The latter is Apple’s premium tablet released in June 2017. 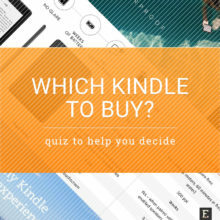 At the first glance, the two tablets look similar, especially when you compare dimensions. 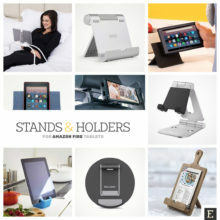 The difference in price is twofold – $329 versus $649. The question is whether you are willing to pay more for the improved performance, better screen with proMotion technology, and compatibility with original accessories (that are sold separately): Apple Pencil and Smart Keyboard. The comparison below will let you quickly see how many and which features the cheaper model lacks – and whether you need them at all. For me, the tablet is not the good device to shoot photos and videos. If you are, however, concerned about the performance of cameras, you should forget the cheaper iPad. The front camera is only 1.2 MP (vs. 7 MP), and the device doesn’t support Life Photos. 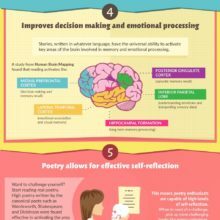 Were you thinking about buying a tablet for writing emails, social media updates, blog posts, or draft ideas? Has the idea of the physical keyboard ever occurred to you? 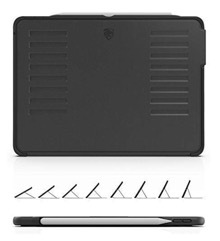 The cheaper iPad is not compatible with Apple’s Smart Keyboard, so you’ll have to rely on third-party keyboard cases. 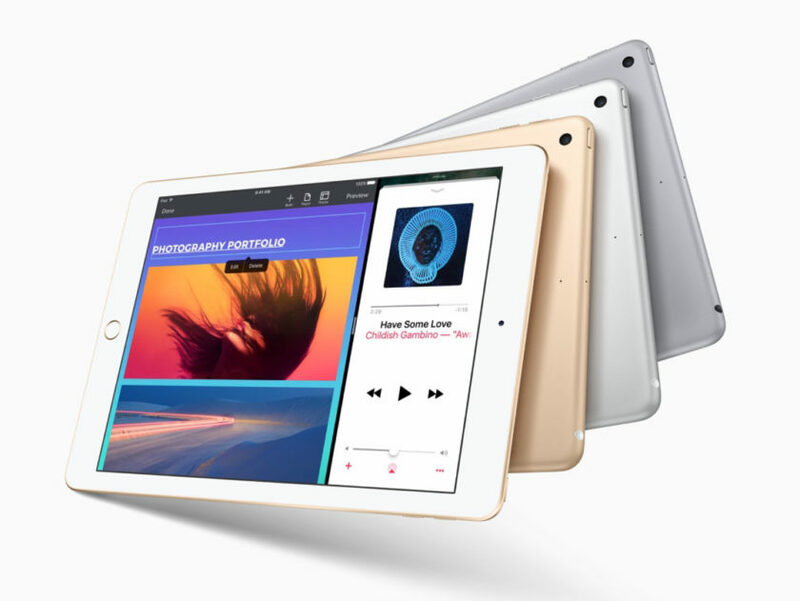 The new iPad and its A9 chip was a bit faster than the iPad Air 2 and a bit slower than the iPad Pro. 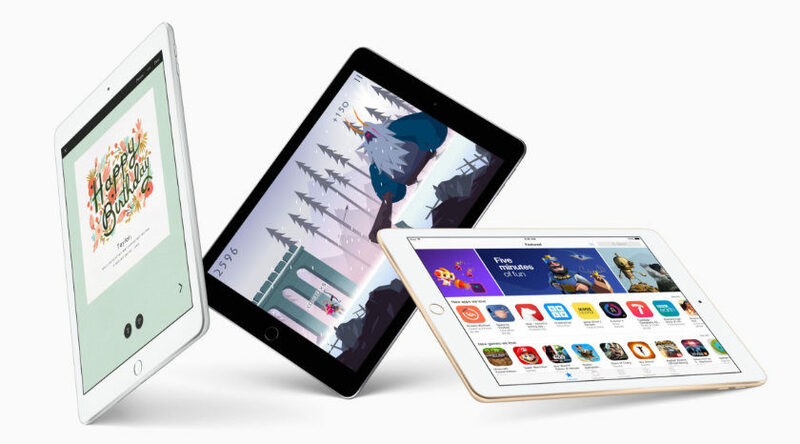 The iPad remains a great mobile gaming machine, as long as the games you want to play are available as iOS apps. 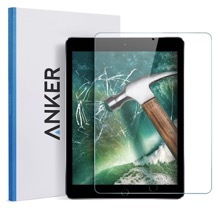 If you’re looking for an iPad that excels at traditional iPad-like things, such as video streaming, games, web surfing and ebooks, this is a fantastic value and should be the default first iPad you consider. 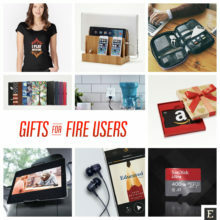 This is the everyman’s tablet — it’s got great battery life, a solid processor, plenty of memory, gets regular updates, and has access to a mind-numbing library of tablet-optimized apps. With a bigger 8,610mAh battery than the Air 2 (which explains the thickness), this iPad has refused to die on us. We have used it for more than a week in Wi-Fi-only mode, with some use every day, and it only recently dipped under 40 percent. In no way is the new iPad a burden to hold or use. While the difference in thickness between the 9.7-inch iPad Pro and the new iPad is barely noticeable, the difference in weight isn’t really detectable between the two. 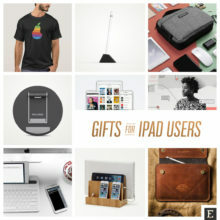 The 2017 iPad isn’t geared towards the early adopters and those looking for the absolute latest and greatest. 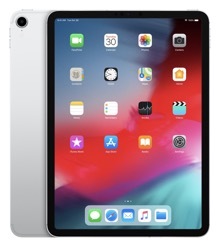 Having Touch ID adds a considerable amount of value to an iPad, and those who adopt the $329 tablet will no doubt grow to appreciate it as a feature. If you have an iPad that’s older than the iPad Air you will notice a significant improvement with this iPad. It will be much faster, much lighter, and the screen will look better. 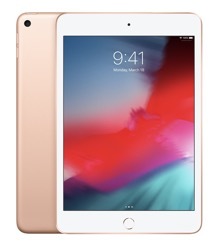 If you have something newer than that — an iPad Air or Air 2 — then you probably won’t get much benefit from upgrading to this new iPad. We’ve collected below the highest quality pictures that are available on the web. 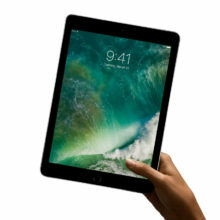 What are the detailed tech specs of the 2017 9.7-inch iPad? 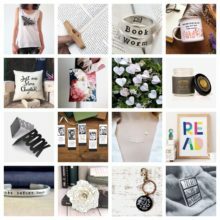 Check out the complete listing below.